We have taken a french dip sandwich classic into a delicious slider to feed a crowd or your family. This is the perfect meal for busy nights. You can't go wrong with the combination of buttery rolls, warm roasted beef and melted cheese. 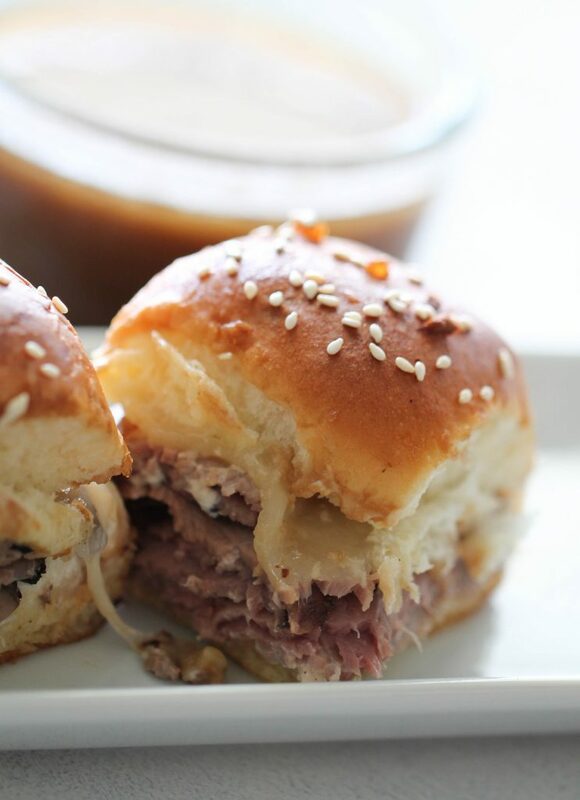 These French Dip Sliders are the perfect weeknight meal or game day snack. With buttery rolls, creamy horseradish sauce, juicy roast beef and melted cheese you can’t go wrong. 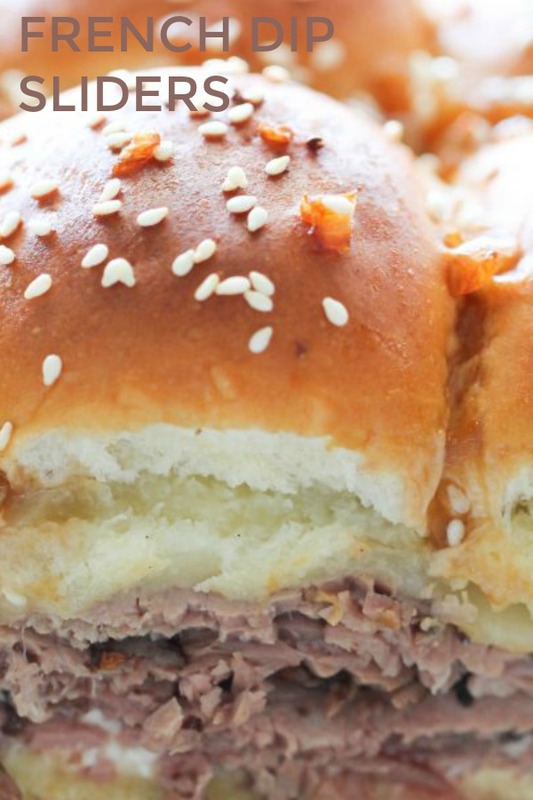 These French Dip Sliders are a must try. They are so easy to make and perfect for busy nights when you are in a crunch. They only require a few ingredients. We have plenty of shortcuts to help make this recipe even more easy. Why sliders over a sub or sandwich? Sliders are my new favorite way to eat French Dip. Everything bakes together in the oven to create a taste that isn’t the same as any average sandwich. Sliders are also perfect for feeding a crowd or family. Everything is put together as one, then you simply pull them apart after baking, and enjoy. The meat to bread ratio is a little more. Sliders are basically a mini version of a larger sandwich. These are perfect for dinner, tailgates, little hands, and adult hands. Step 1: Preheat your oven to 350 degrees. Prepare a 9×13″ making dish by coating it with non stick cooking spray. Step 2: Use rolls that are all connected and cooked together. Slice them in half without separating the rolls. Keep the tops with the tops and the bottoms with the bottoms. We like to use King’s Hawaiian Sweet Butter Rolls for this recipe. Step 3: Mix the sauce together and spread on both the top and the bottom halves. Step 4: Layer on the sliced roast beef and cheese. You can find this roast beef by the sandwich meat, you ask your grocery stores deli to slice some up for you. It will still be a good price. Step 5: Place the top half of rolls on top. Set aside. Do not bake them yet. Step 6: In a pot or deep sauce pan, over medium heat, add the butter, garlic, water, onion, and Au Jus packet. Whisk until fully combined and it is at a boil. Step 7: Once the Au Jus has has come to a boil, remove from heat and pour 1/2 cup over the sandwiches. Then sprinkle on the sesame seeds while the buns are a little damp. Step 8: Place in oven and bake for 15-18 minutes or until the edges begin to golden. Cut the sliders to separate the meat and cheese. Step 9: Dip the sliders in the remaining Au Jus and enjoy! Looking for more slider recipes? Without separating the rolls, slice rolls in half and place the bottom half in prepared pan. 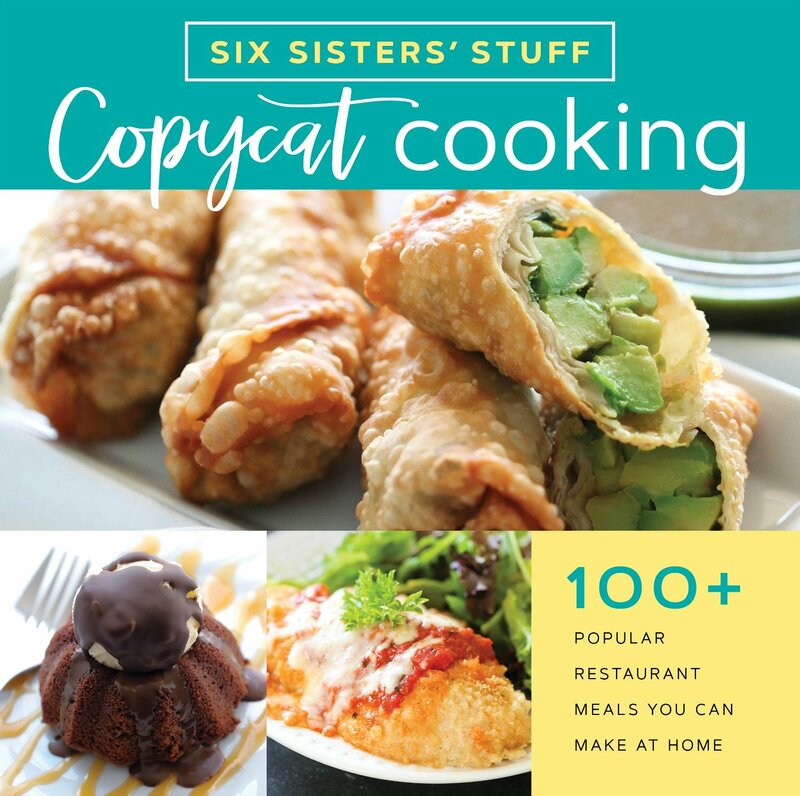 In a small bowl, whisk together sauce ingredients and spread on top of bottom half of rolls. Layer on sliced roast beef and top with sliced cheese. Place top half of rolls on top. In a saucepan over medium heat, whisk together butter, onion, garlic, au jus packet and 2 cups of water. Drizzle 1/2 cup au jus over sliders and sprinkle on sesame seeds. Bake for 15-18 minutes, or until rolls are golden brown. Remove from oven and cut into 12 sliders. Serve with remaining au jus. Where do you get a 1 oz. package of Au Jus gravy? I have never seen such. Thanks! Love your site!! I just found the Au Jus gravy packet today in the same aisle/area where they sell packages of regular gravy mix, sloppy joe mix, etc. Hi Ellen, It is by all of the seasoning packet mixes. You'll find it next to the gravy mix packets. Instead of the sesame seeds, I sprinkled a little Italian Seasoning on top. I also added it to the Au Jus. Amazing! !